​Vertebrate frugivores disperse seeds from 75-90% of the species in tropical forests, yet the importance of vertebrate seed dispersal for species and communities has been difficult to estimate due to the large spatial and temporal scale over which it operates. 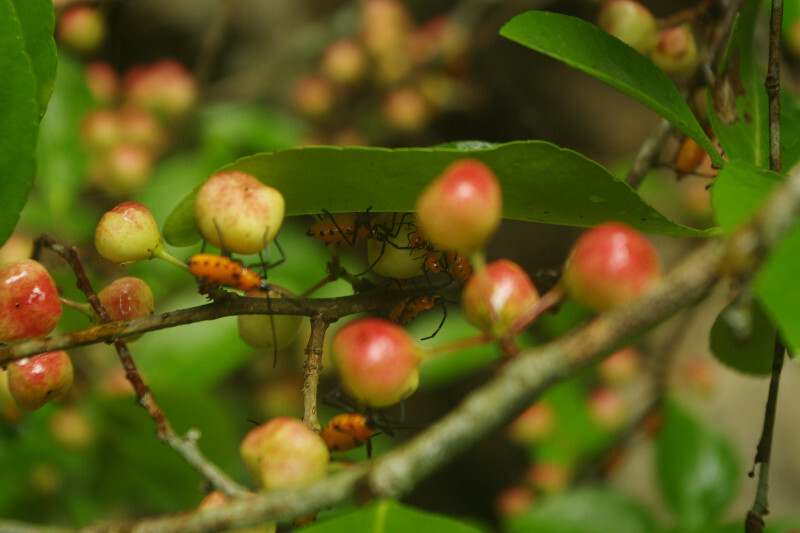 The loss of frugivores throughout ecosystems around the world has provided accidental experiments which allow us to test the importance of seed dispersal; the island of Guam is likely the most severe example of frugivore loss. We are testing the hypothesis that fundamental changes in species diversity and forest structure may result from seed disperser loss including: altered abundance and/or spatial pattern of tree species with the possibility of plant extinction, an increase in non-vertebrate-dispersed species or species with weak distance-dependent mortality, disruption of gap colonization dynamics, and stalled regeneration of degraded habitat. Through the Ecology of Bird Loss project, we have been investigating whether the complete loss of vertebrate frugivores has led to each of these potential changes. 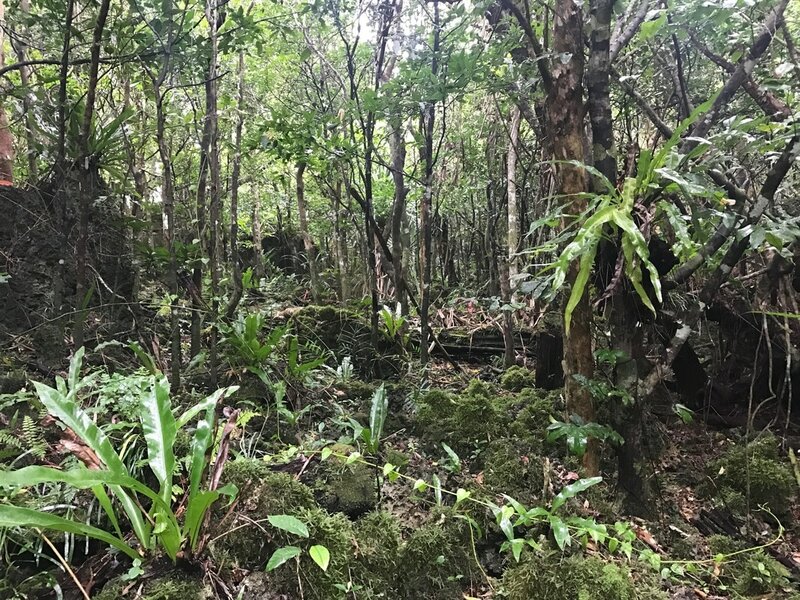 In collaboration with Julie Savidge from Colorado State University and Josh Tewksbury at the University of Washington, and funded through the Strategic Environmental Research and Development Program (SERDP), we are setting the groundwork for restoring seed dispersal to Guam's forests. We are finishing our investigation of the impacts of seed disperser loss on the forest, so we can predict what a forest with or without dispersers will look like in 50 or 100 years. We are investigating the role of the native frugivores still present on Guam (e.g. Micronesian Starling) or nearby islands (e.g. Mariana Fruit Dove, White-Throated Ground Dove, Bridled White-eye) to see which are the most effective dispersers. We will also explore the role of feral pigs and rats in seed dispersal on Guam. We will explore the challenges associated with using native birds, as well as the negative impacts of feral pigs and invasive rats on forest tree species. To explore the community-level implications of disperser loss and develop generalities that can apply to systems around the world, it is necessary to move beyond case studies of individual species to synthesis, and to unite theoretical explorations of dispersal with empirical observations of forest change after disperser loss. 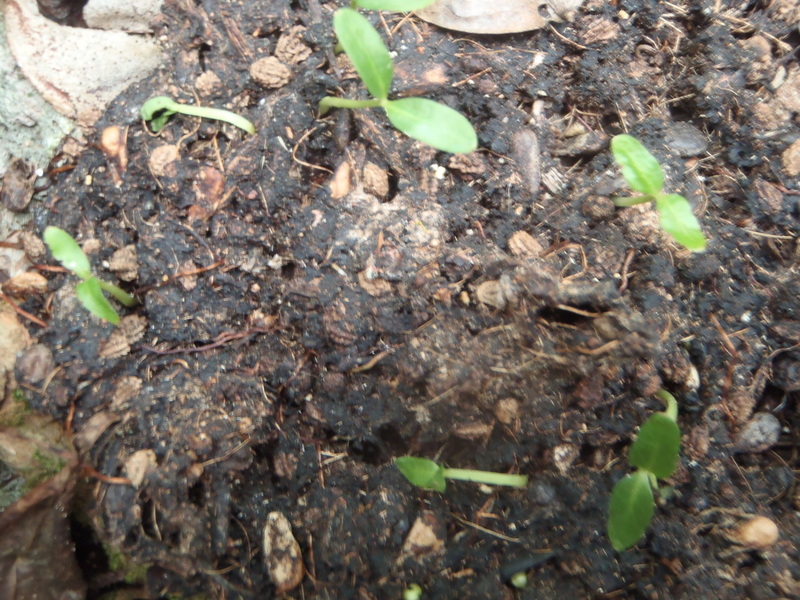 Can we identify overarching patterns in forest communities following seed disperser loss? Do communities universally change character, or do they largely retain their original characteristics? Clare Aslan (Northern Arizona University), Noelle Beckman (SESYNC), and I are developing a network focused around seed dispersal. The aim of this network is to synthesize the work of empirical ecologists working in empty forests around the world, and integrate this empirical understanding of dispersal with the work of theoretical ecologists and applied mathematicians studying dispersal. We anticipate that the synthesis of case studies and integration with theory and applied math will produce novel insights into both the impacts of disperser loss and our basic understanding of dispersal.